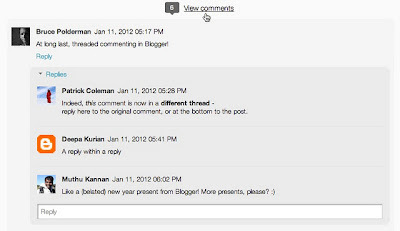 The Blogger team is making sure that the Google Blogger platform becomes better and better. They have introduced some amazing features for the blogger platform like Static Pages, Blog Stats Widgets, Template Designer and many other cool features that makes the blogger platform even more awesome. 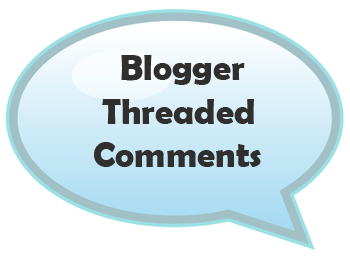 The latest addition is Threaded Comments. This feature is available on the Wordpress blogs and on other blog comment systems like Disqus, Intense Debate since long time and its good to see that even Blogger has the threaded comments feature. 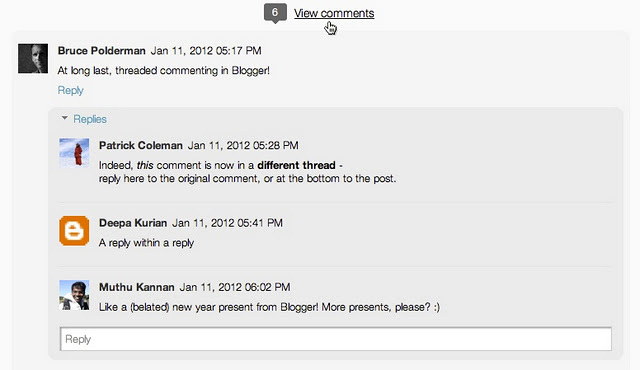 Here is how the threaded comments will appear. To enable this feature, just click on the Settings tab and in settings, click on the Other option. 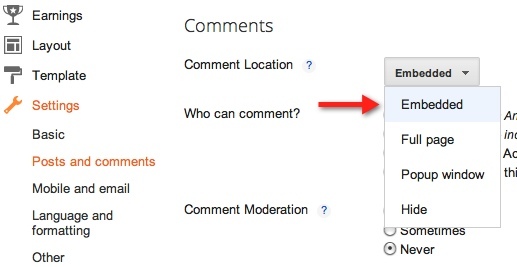 Also make sure that you have selected the Embedded option for the comment location as shown below. You will have to click on the Posts and comments option in the Settings tab. That's it. 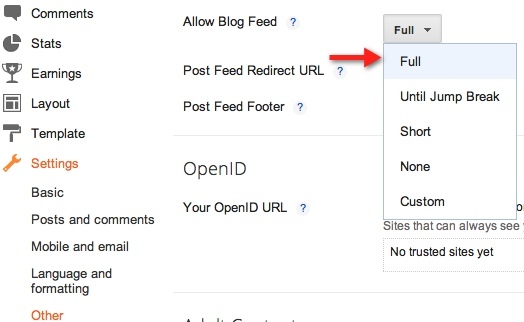 Once you make sure that you have selected all these options, the threaded comments will appear on your blog posts. 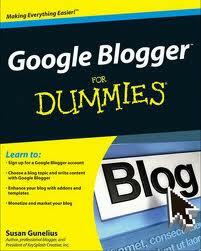 If you need more help regarding the Blogger platform, you can check this book.